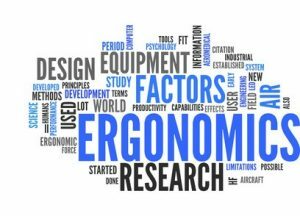 Ergonomics is concerned with the relationship between your people, the tasks they undertake, the equipment they use and the environments in which they work. Ergonomics applies information about human behaviour. As well as abilities and limitations and other characteristics to the design of tools, machines, tasks, jobs and environments. Environments for productive, safe, comfortable and effective human use. Ergonomic Risk Assessments from CMSE Consultancy will now assess all of your workstations and work environment for potential hazards. They will also identify controls to reduce your level of risk. CMSE Consultancy is a leading provider of Ergonomic services. These include risk assessments, Video Display Unit (VDU); Display Screen Equipment (DSE): work station reviews, task assessments (work rotation schedules) and repetitive strain injuries (RSIs) assessments. CMSE Consultancy delivers cost effective, practical services to our clients nationwide. Ergonomic assessments can be provided for client’s in smaller numbers right up to large, managed Programme solutions for bigger multisite organisations. CMSE Consultancy can make use of our software system offering to provide initial assessment and training through to the management of corrective actions and follow up assessments. A competent person must carry out an Ergonomic Assessment. This is vital. It clearly identifies and corrects any hazards that may exist, for instance. CMSE Consultancy is a leading provider of Ergonomic services. Delivering cost effective, practical assessments. Inclusive for clients in smaller numbers right up to large, managed risk programmes for bigger multisite organisations. We have qualified ergonomic consultants who will visit your work environment and provide an extensive assessment. Each workstation is individually assessed to take into account the hazards in the work location. Our consultants will investigate specific injuries such as WRULDs (work related upper limb disorders), RSI (repetitive strain injuries), Carpal Tunnel Syndrome and back problems as they might develop or occur in the workplace. Our consultants will identify and record any ergonomic equipment requirements and provide advice on optimum layout of the workstations, machine set-up and environment management including lighting, noise, temperature and humidity levels. As well as general duties under the Safety, Health and Welfare at Work Act 2005, the Safety, Health and Welfare at Work (General Application) Regulations, 2007 require that the employer to take measures necessary for the safety & health of employees and these measures to account of the changing circumstances and General Principles of Prevention. As an employer you must assess hazards and risks associated with the workplace, systems of work, work machinery, chemicals, hazardous substances, PPE, manual handling etc, as they apply to your entire workforce. These findings must be recorded in the Safety Statement and be acted upon as part of the safety plan. Any changes in (or affecting) the workplace needs a review of the existing assessments. To get interesting news and updates delivered to your inbox, sign up here.